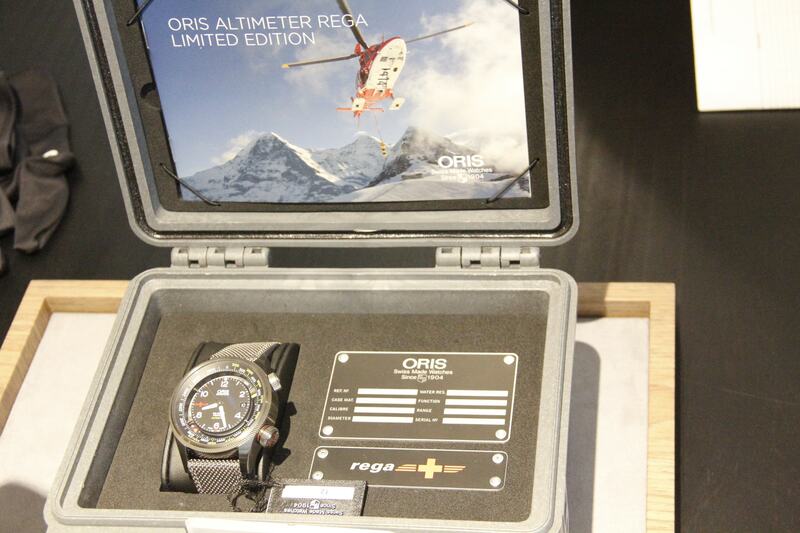 New Oris Altimeter Rega surprises with unusual functions. 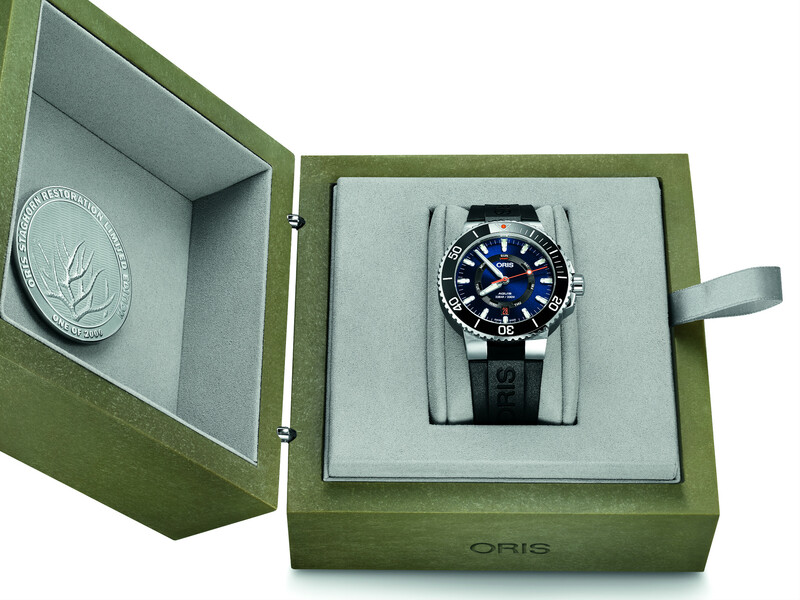 Once again I would say that in my mind Oris brings images of diver watches. 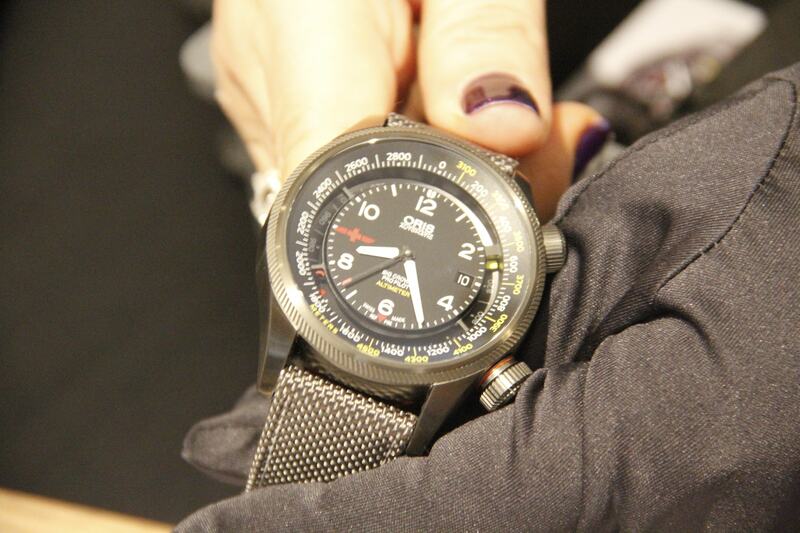 Well, it looks like that Swiss watchmaker decided to press on pilot history. 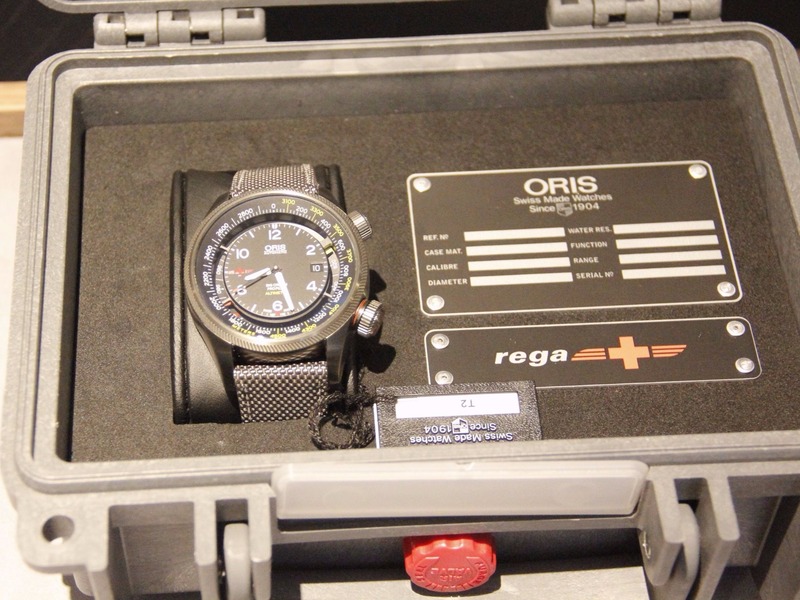 New Oris Altimeter Rega is one of the several fresh models presented on Baselworld 2017. 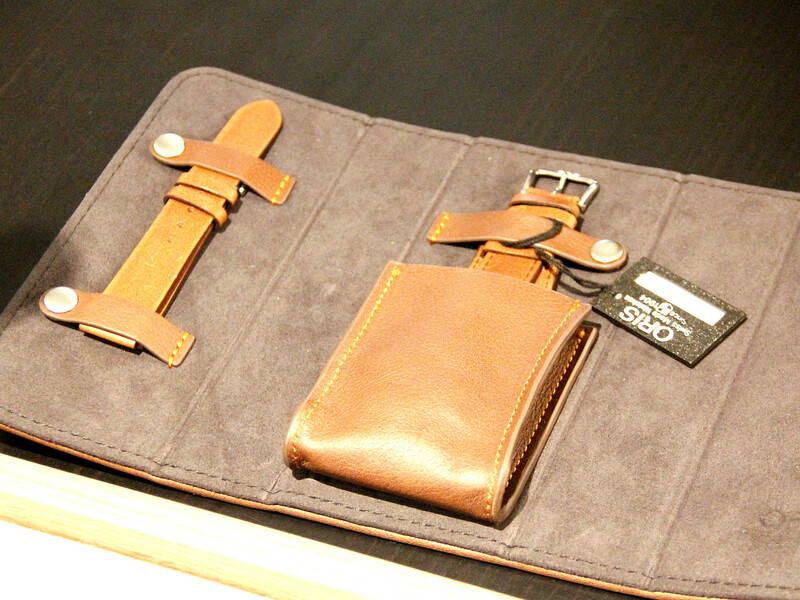 We played with this newcomer a bit, and now ready to share impressions with you. 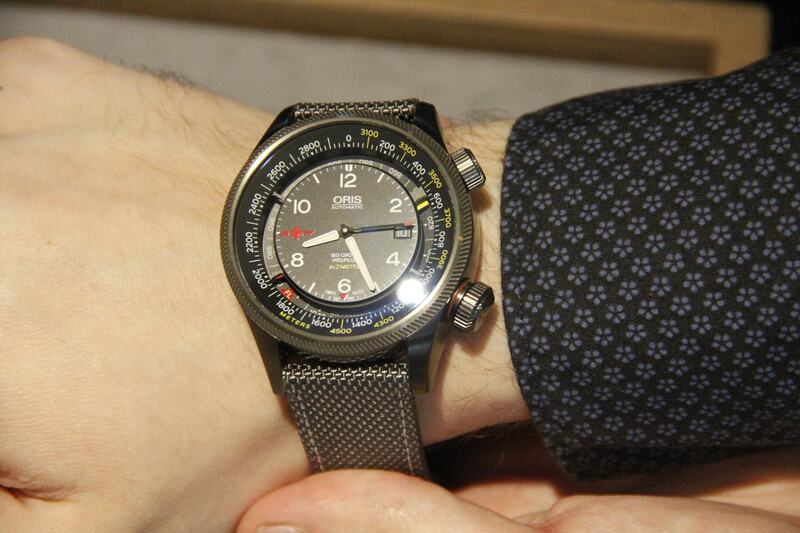 By the way, here you can read review with another Oris watch. 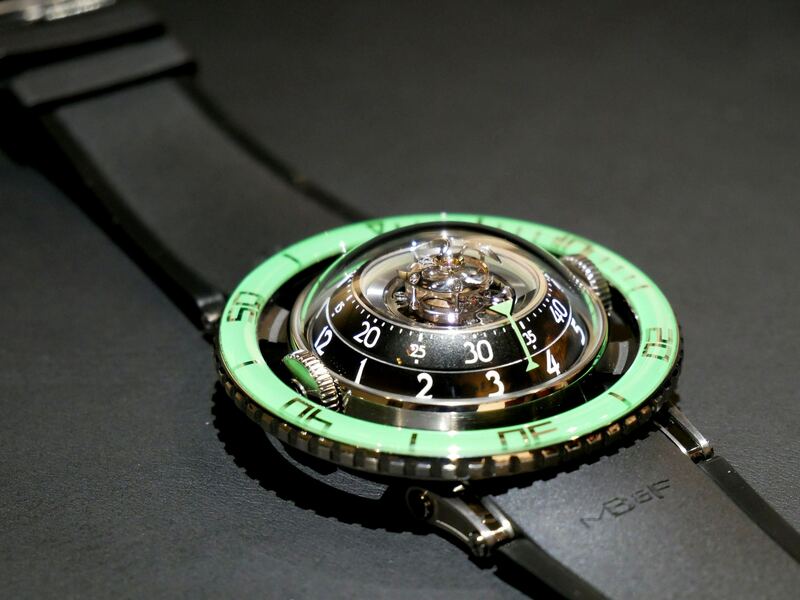 First of all I can say that this design is absolutely cool. There are no screaming elements, appearance is calm and balanced, yet makes right impression from the first sight. 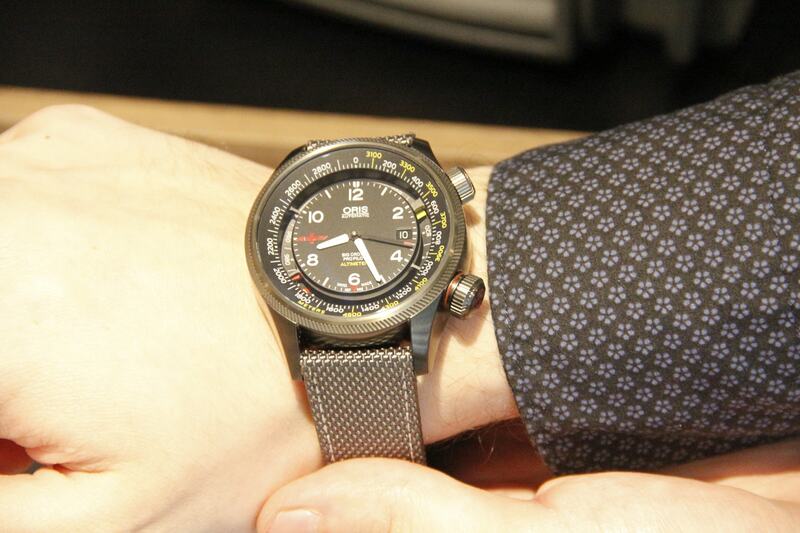 That grey PVD-coated case looks business, serious and you won’t find any useless touch. Note that glass is domed from both sides, what gives excellent visibility. 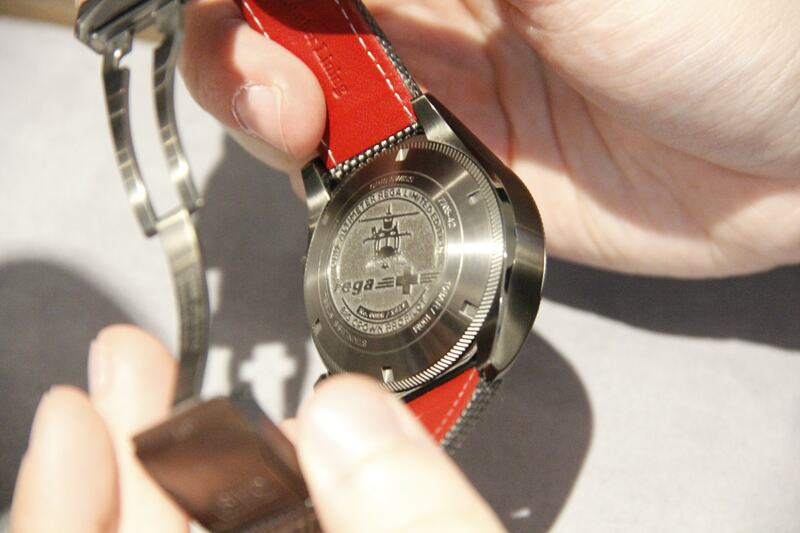 Caseback is adorned with special engraving, which shows that this is a special edition release. 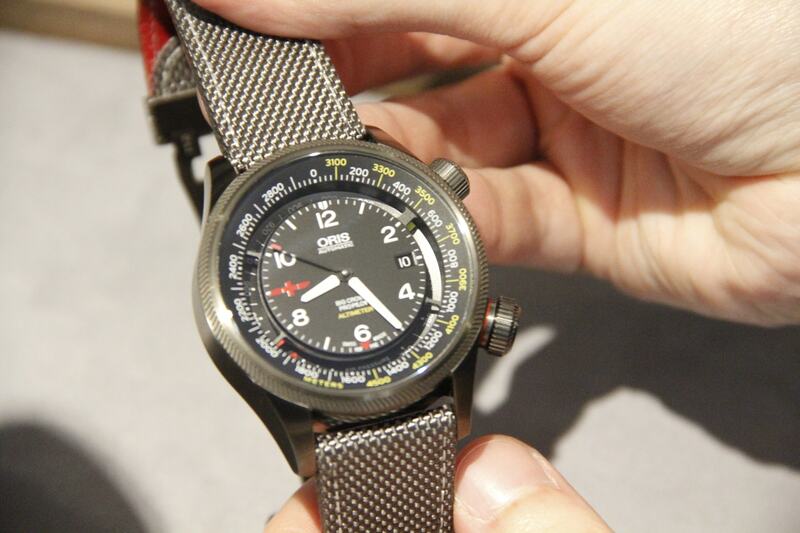 Newcomer comes with Oris 733 movement. 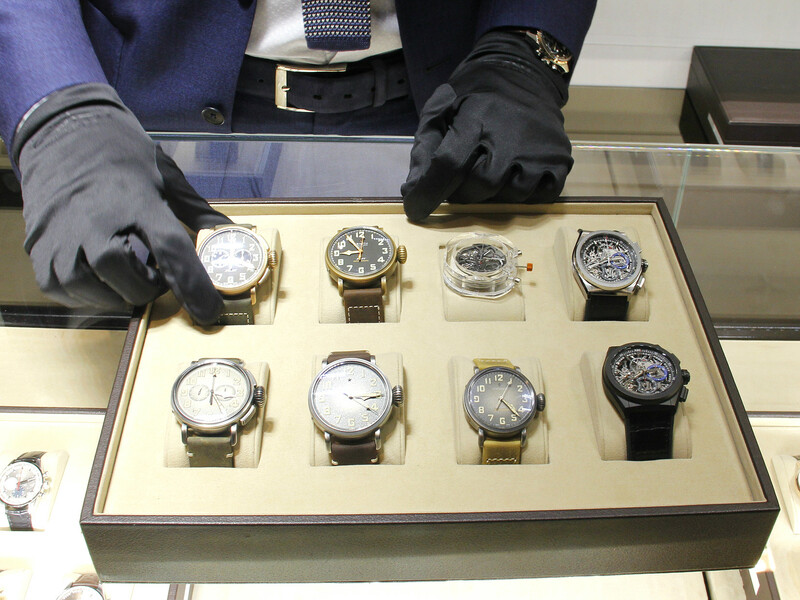 Well, it’s a bit surprising, because power reserve here equals to 36 hours. 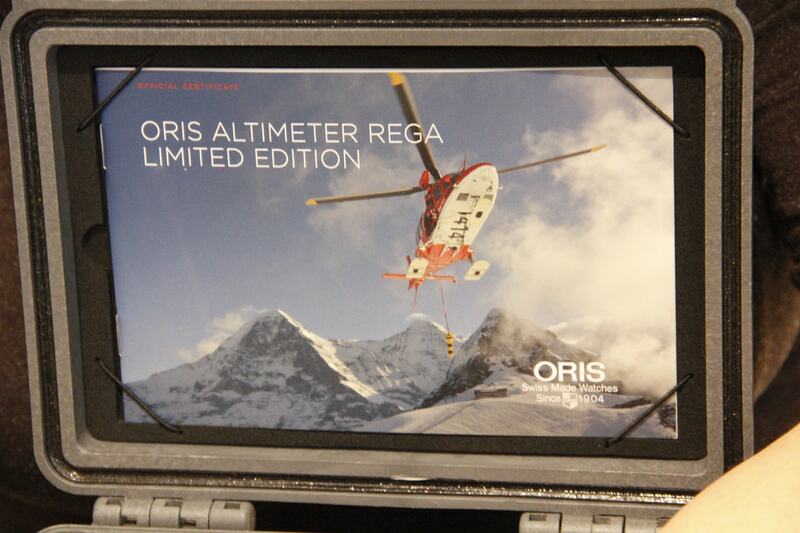 I guess rescue workers might need slightly bigger number, right? 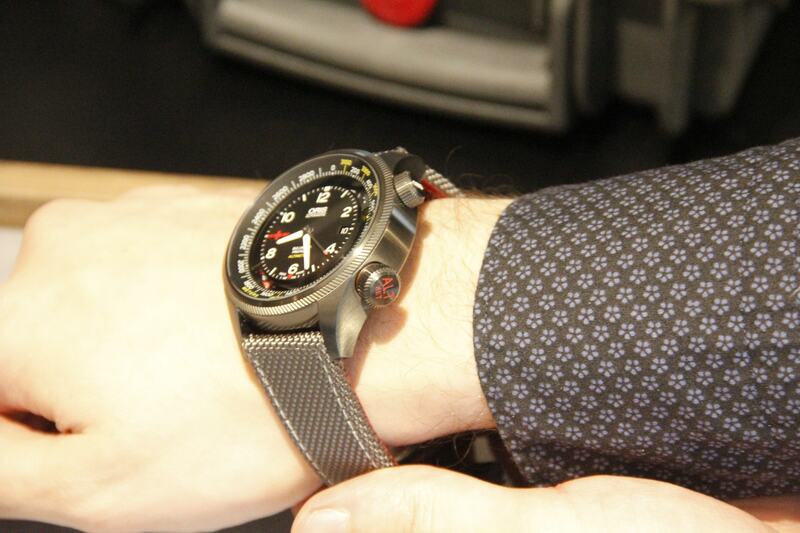 Well, at least it’s automatic, so it should be fine as long as you have watch on your wrist. 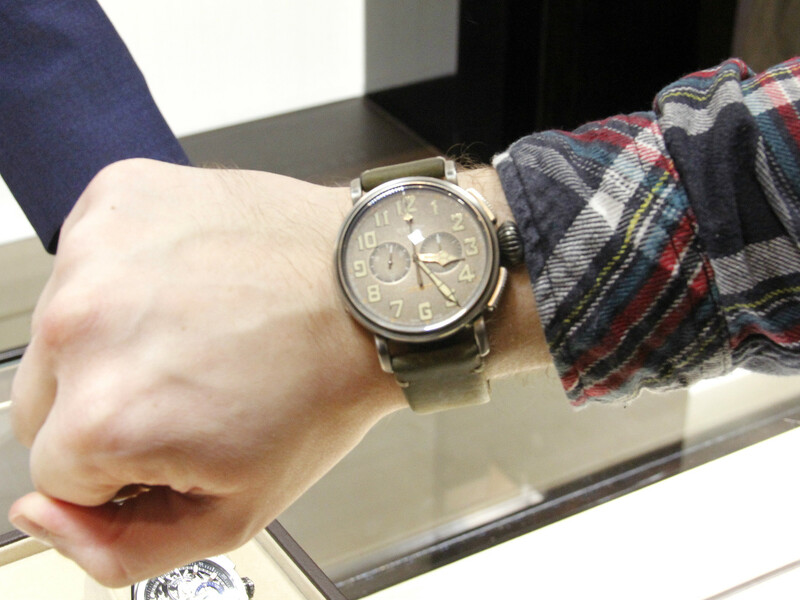 Of course, basic functions like date display and date correction come standard. 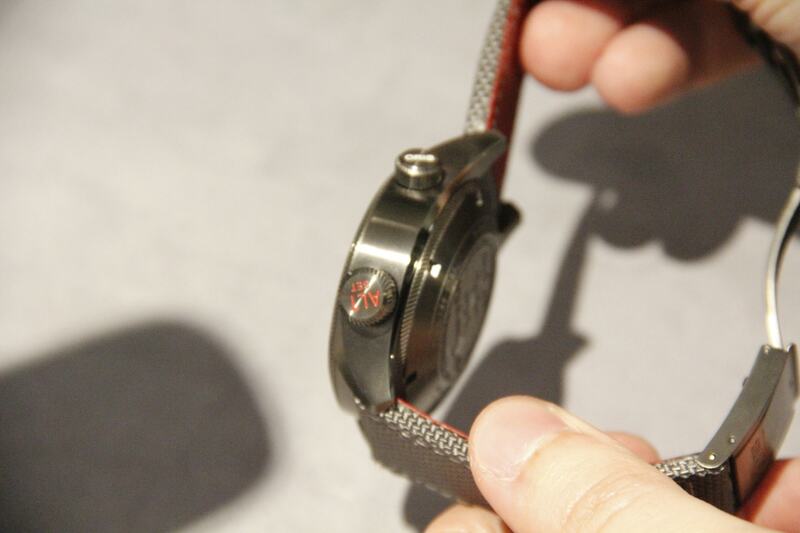 Another traditional feature – red rotor is in place, but you won’t see it, because this part comes closed by metal caseback. 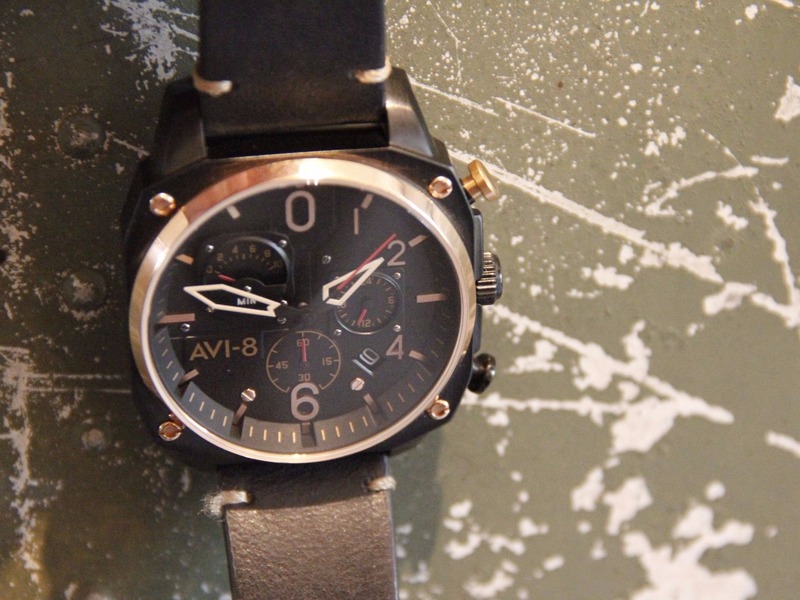 Newcomer should be available for purchase, so if you are searching for nice limited edition watch for reasonable price – check this one too. 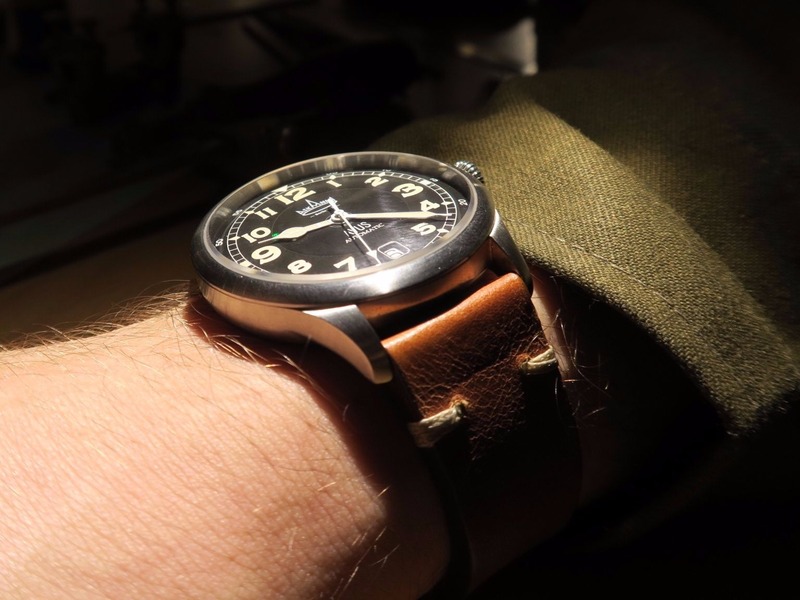 The only thing that would worry me a bit – targeted price range offers many interesting alternatives, so you will have to be really determined to get grey altimeter on your wrist.